Regency and children's choir. Photo: Alice Rodrigues. 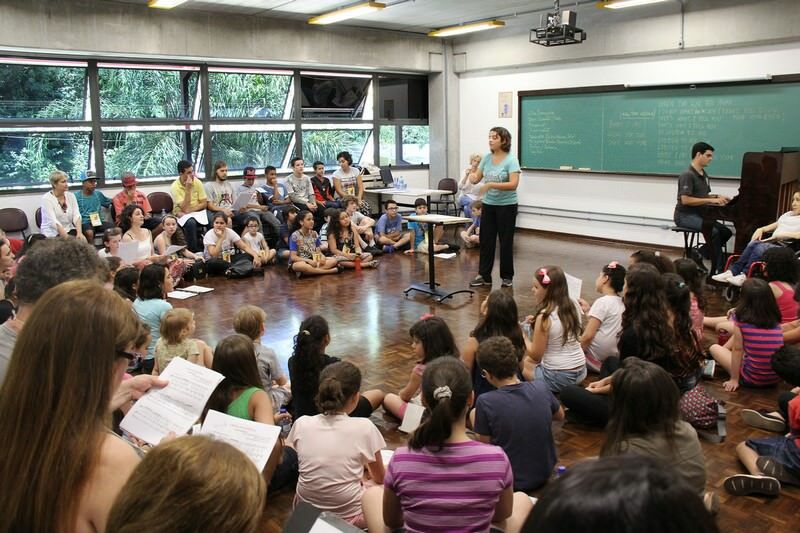 A series of recitals will be held this Friday (15), in various cultural spaces, for students of the 34th music workshop of Curitiba, you go up to the stage to put into practice the results of one week of intensive courses and studies. The performances at the Palace of liberty, Paiol theater, London theatre and shrine of our Lady of Guadalupe meet piano classes, violão, children's choir, Regency of chorus and brass ensemble. 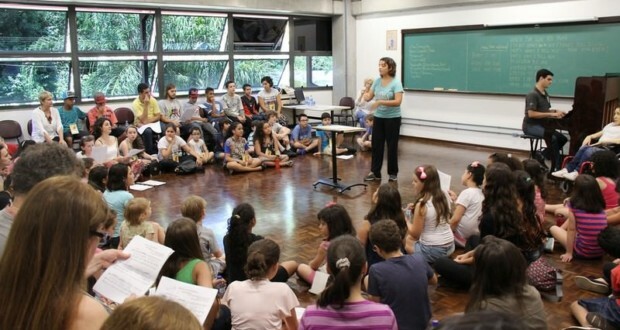 Giving students a chance to test your knowledge and experience the experience of stage is one of the purposes of the Curitiba festival, whose emphasis is given exactly the music training. At the end of each phase (classical and MPB) the schedule WINS individual presentations and with reinforcement of orchestras formed by participants. Students of professor Fábio Zanon are among those present this Friday at the theater in Madeira Island. "Experience is very important and entirely for the musician educational. For them, is live a hearing professional situation. Even more into a theater as the Armory, to which few would have access it wasn't this chance given by the Workshop ", says professor. 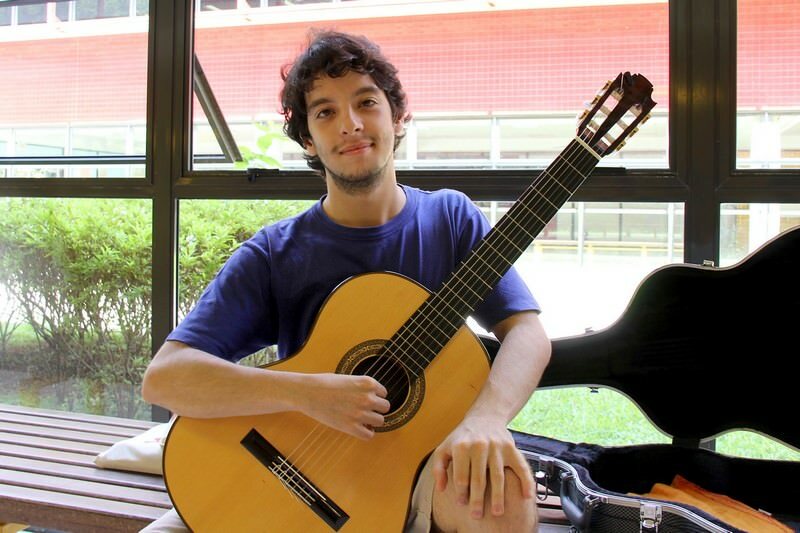 The young Lucas Correia Lima, from 20 years, will be one of the highlights of the class teacher's recital Zanon. "Playing in public is different. Pressure, Adrenaline. But we go to school for that ", says Lucas Lima, from Pelotas (RS) and enjoyed the experience of participating for the first time at the shop of Curitiba. "I enjoyed because I had contact with other musicians and had a chance to meet other instruments, principally of ancient music. Tasted instruments that had never experienced, as the lute ", said. Lucas Vieira. Photo: Alice Rodrigues. Lucas Lima. Photo: Alice Rodrigues. 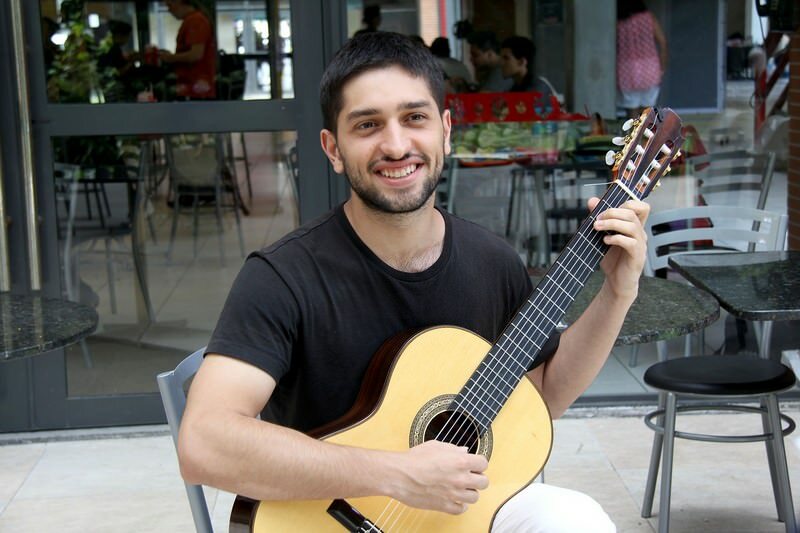 Another will be the recitalist student Lucas Vieira, from 21 years. Born in São Paulo and accustomed to other festivals, Lucas considered the workshop a lot "cozy" and the level of teachers "incredible". He also sees the hearings with ease. "Part of learning. The stage is the final stage of the work. You study music to share with people ", said. Ancient music – In addition to recitals of students, another program this Friday is the concert of ancient music teachers, What happens to 8:30 pm, in the chapel Santa Maria. The repertoire, the "Orchestral Suite" of Jean-Féry Rebel, the "Te Deum" by Marc-Antoine Charpentier, "De Profundis" of Michel-Richard de Lalande and works of Jean-Philippe Rameau. The classical phase of the 34th music workshop ends this Saturday (16), with the presentation of the Symphony Orchestra and Chorus. The phase of Brazilian popular music starts right away, on Sunday (17), with the concert of the Orchestra String based Pife Muderno and.